Very accomodating staff, 11/10 hospitality. Will definitely stay again if ever I drop by Kobe. Stayed here for 1 night and the staff are so funny, all went to watch Japan in the World Cup. Hostel was very good, had good favilities and common space and the bed was very comfy. 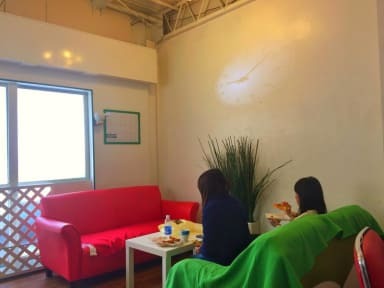 Great hostel in a great location just 5-10 minute walk from sannomiya station. Staff and guests were all very friendly! Incredibly convenient to the Sannomiya station. Easy check-in, even for late arrival. Cozy and comfortable, great value. The instruction given for the location was confusing. Otherwise the staff was very friendly and the facilities good for the price. Excellent location right near JR Sannomiya Station. Friendly staff that gave good food recommendations. Would definitely stay here again. We got a private room. Everything was very clean, we got there pretty late (around 11pm, 30min after the reception closed) but we got an email with all the instructions for late checkin and it was a breeze. The dormitory looked good too, with enough space in each compartment and thick curtains. Cozy place with a bunch of eateries right down the street. Close to Sannomiya station, and a supermarket. The staff were friendly, and the facilities were alright. Best thing was probably the dorm bed, biggest I've seen so far, with two hangers, a little shelf, and another wire shelf with a basket on it for putting your dirty clothes or whatever. Place is a bit old and discoloured, but the actual amount of noticeable dirt was low. Overall, good stay. The hostel is a 10 minutes walk away from Sannomiya Station which is really central. The room my friend and I were in (twin room) was really small and the stock bed made noises whenever the person on the upper bed moved. Everything was pretty good. The staff gave us some great recommendations where to spend the evening and the facilities were small but convenient and clean. I found the staff to be quite rude and unhelpful. Maybe I arrived on a bad day but they were fairly useless helping me figure out my way around. The location was good, near the centre of the city. 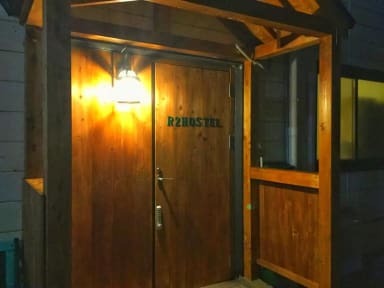 The hostel itself was clean with comfortable beds.